Okaaspain, tienda online de merceditas en algodón con bordados marineros con velcro para niñas. 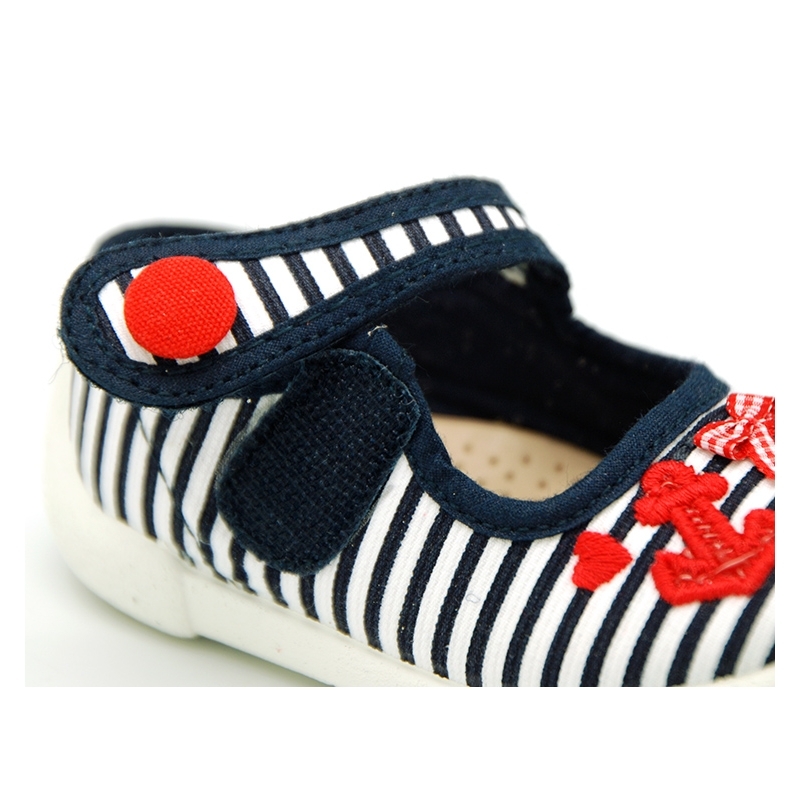 > First Steps>Mary Jane>Cotton canvas little Mary Janes with nautical design. Cotton canvas little Mary Janes with nautical design. Cotton canvas Mary Jane shoes with nautical design, toe cap, counter and velcro with button closure for little girls. 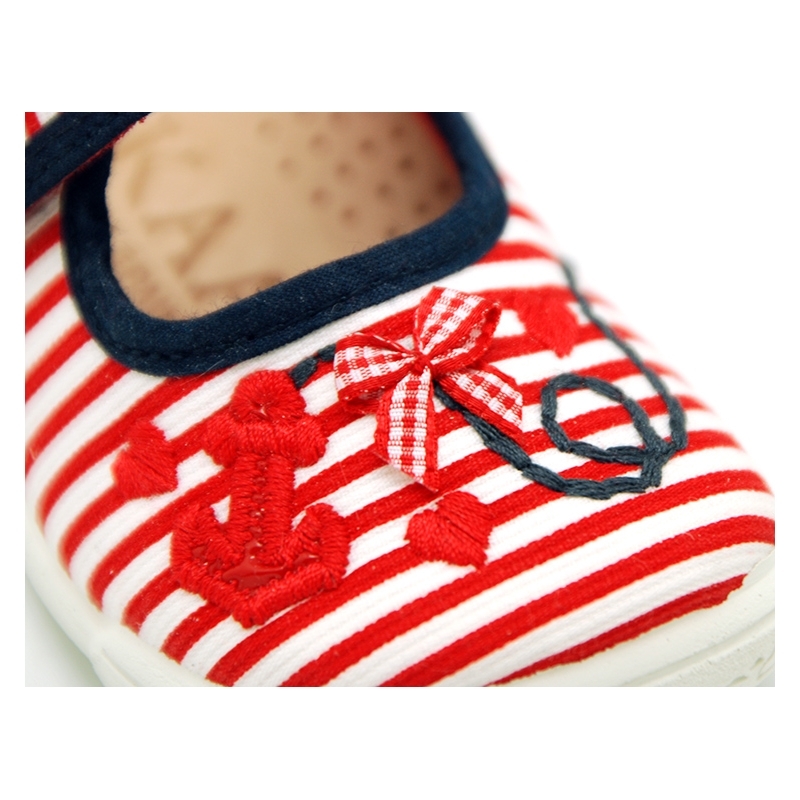 More info about Cotton canvas little Mary Janes with nautical design. Cotton Canvas Little Mary Jane shoes with velcro strap closure and button, toe cap, counter and with nauticcal embrodeiry design for little girls. Made up of 100% natural Cotton canvas with high quality finishes with special design with nautical embrodeiries. Very practical and fits with every garment this spring summer. With velcro strap closure for a better grip. ItÂ´s un updated model of the classical one. In a new cotton fabric, very elegant for day a day basis. ItÂ´s a perfect model for their first steps. Cotton canvas fully lined, and leather insole padded footbed for a good perspiration of their feet. 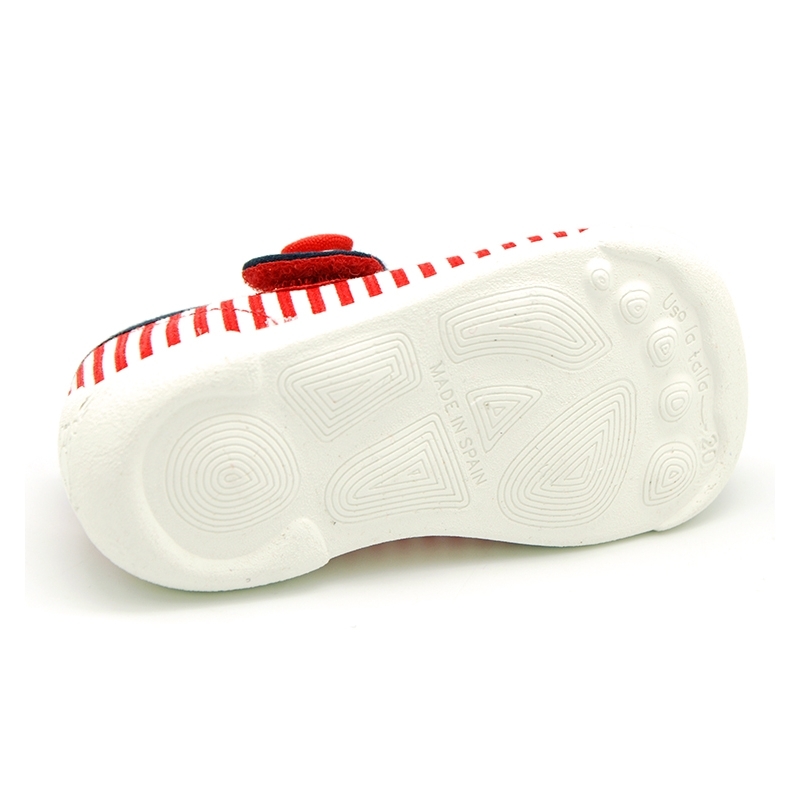 Outsole made up non-slip of high quality rubber, with caounter and toe cap which is totally flexible in order they can learn to walk without problems. Available in 2 colors. Range of sizes, from 18 Euro size up to 27 Euro size. SIZING REGULAR. 100% manufactured in SPAIN. 100% washable in cold water. We recommend to remove the leather insole befroe washing. Data sheet about Cotton canvas little Mary Janes with nautical design.